Former FBI director James Comey speaks during the Canada 2020 Conference in Ottawa on Tuesday. James Comey says the world is less secure since Donald Trump won the U.S. election and that G7 leaders cannot trust anything the President says. The former FBI director, who was fired by Mr. Trump last year, cautioned world leaders to be “very, very careful” in their interactions with the U.S. President. “He has a craving for affirmation that I’ve never seen in an adult before,” Mr. Comey said during an appearance at the left-leaning Canada 2020 conference in Ottawa on Tuesday. Mr. Comey’s remarks come as Mr. Trump – along with the other Group of Seven leaders – is set to arrive in Quebec’s Charlevoix region for the two-day G7 summit later this week. Mr. Trump will make his first visit to Canada at a time of high tension with his allies. The U.S. President recently slapped hefty tariffs on steel and aluminum imports, triggering retaliation and has expressed a renewed desire for bilateral trade talks with Canada and Mexico as Justin Trudeau’s government continues to push for a renegotiated North American free-trade agreement. “That doesn’t mean he’s not telling the truth from time to time. That also doesn’t mean that he’s not going to make a decision that an objective person would consider ethical,” Mr. Comey said. The result, Mr. Comey argues, is that the world has become less secure. “The nature and quality of the relationships at the top level have been eroded,” Mr. Comey said. 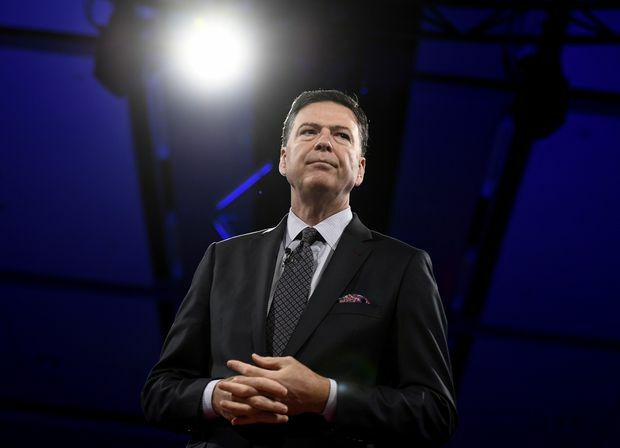 The attacks on the former FBI director have often veered into the personal. “President Trump tweets about me like I’m some relationship he can’t get over,” Mr. Comey said. Special counsel Robert Mueller is now leading an investigation into Russian interference in the 2016 election and possible collusion between Mr. Trump’s advisers and the Kremlin. “No serious person could think it’s a witch hunt,” Mr. Comey said. But he said he doesn’t want to see Mr. Trump impeached.